(Amesbury MA) The good numbers keep piling up. 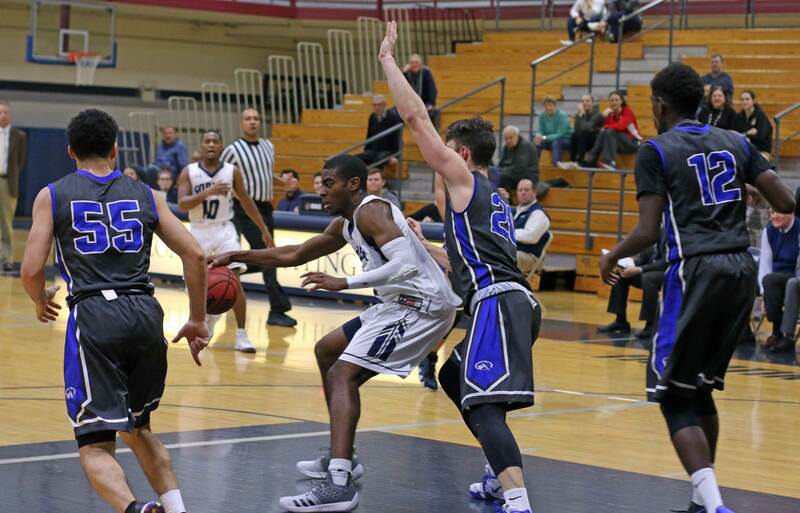 Gordon stretched their winning streak to fifteen defeating Salve Regina, 79-70, on Wednesday night. The Scots (16-1) finished a sweep of all eight Commonwealth Coast Conference teams. There, however, will be a second round and the road to a second sweep will be challenging. At least as challenging, if not more so, was trying to follow the action on the Salve Regina online connection. Maybe the regular folks who present the games were on vacation? But the stats, afterward, were clear to see and the more I looked at them the more pleased I became with the road win over the Seahawks. What if Eric Demers (22 points per game) or Garrisson Duvivier (13 rebounds per game) didn’t deliver numbers like that? What if they were both less productive in the same game? We found our answer tonight………..the Scots keep right on rolling! How was that possible? Teammates stepped up and filled the gaps. I’ve watched enough Patriots’ football to know that their defense is successful because they find ways to take away the things that opponents do best. Force someone else to beat them and often the opponents can’t do it. 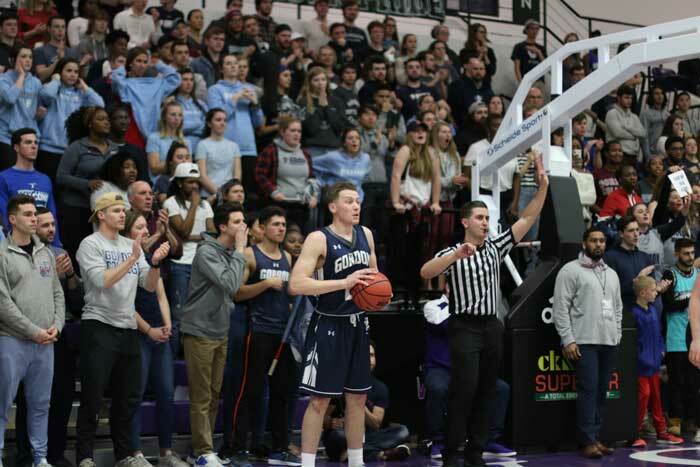 Minimizing Eric and Garrisson revealed that Noah Szilagyi (20 points,4 steals), Jake Haar (16 points, 4-for-4 from the line late in the game), and David Massillon (9 points, 8 rebounds) can step up. I have learned, however, that with Eric and Garrisson you often find them contributing in places other than their primary areas. Eric had season lows in shots attempted (10) and points (13) but added eight rebounds, three assists, and two steals. Garrsson had season lows in shots taken (6) and rebounds (6) but handed out four assists and had a season high in blocks (5). So the numbers at the end weren’t what we were used to but they still converged into a winning result. That’s encouraging to me. There were several segments of ugly basketball tonight. In the first half, Gordon went nearly 6 ½ minutes getting just two points. They missed six shots and had five turnovers yet still led, 24-21. In the second half, neither teams scored a point during a two-minutes section of back-and-forth action. The Scots did create good basketball when it was most needed and put this one in the win column in the final three minutes. SR (7-10) was within one (69-68) but had only a layup to show for the final three minutes. Gordon, led by freshman David Massillon (4 rebounds, 2 layups) scored ten points. The final score (79-70) was not indicative of how the game went. On Saturday the Scots start Round Two at Western New England. The projected snowstorm may have some bearing on that game. 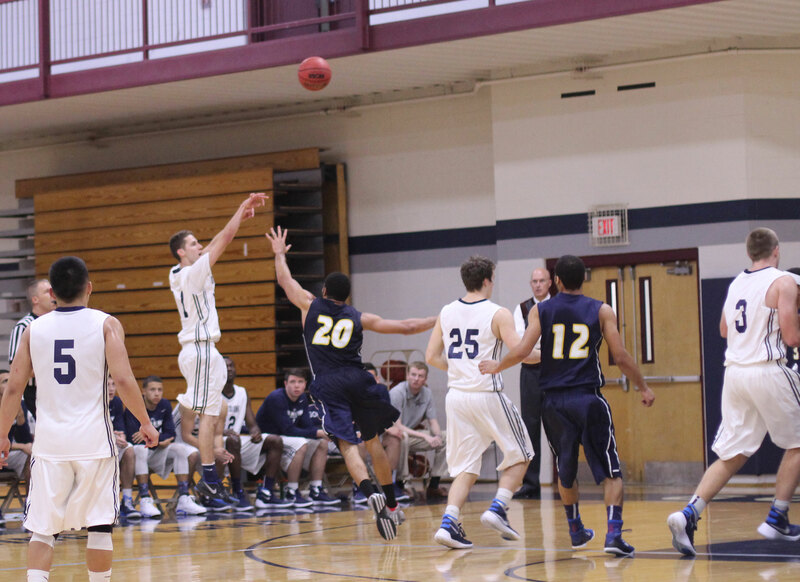 Let’s talk “high heat” for a paragraph: Noah Szilagyi is 18-for-25 shooting triples during the past five games. That’s a remarkable 72%! David Massillon, if given space, is going to get to the basket against single coverage as he did today against Salve Regina. Maybe there’s a course in Newport (RI) for this? It seems to me that every time, in recent years, when we play SR, one of Gordon’s post players will get caught for an offensive foul when they try to back down closer to the basket. The defender will fall backward giving the impression that the Gordon post player and an 18-wheeler are one and the same. Coach Tod Murphy goes crazy. The Gordon post player raises his arms in astonishment and the Salve player has a smirk on his face. It’s great theater. Look for it when Salve comes to the Bennett Center in February.